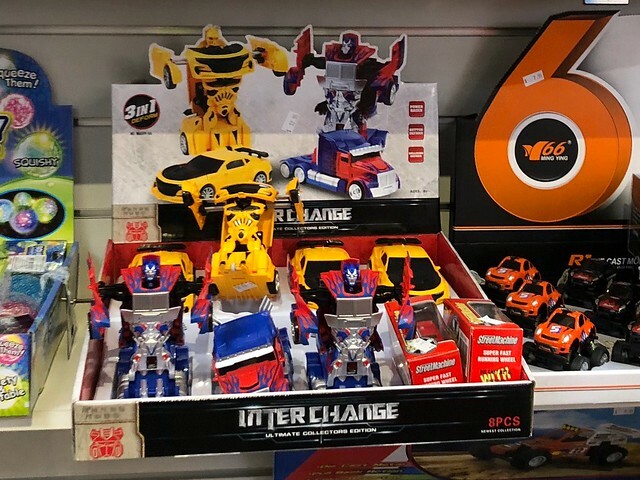 An IGA store had Kidoshin Autobots. Looks as though they bought the rights to the word Autobots. Was tempted to buy some since they were "Ultimate Collectors Edition!" 3 in 1 deform? What is this secret third mode they advertise? The only thing I can see this thing deforming is some poor shopper's bank balance. Damn... even Rescue Bots are getting KOed.